Ear plugs at the ready…first exciting display announcement for 2019 Bournemouth Air Festival! 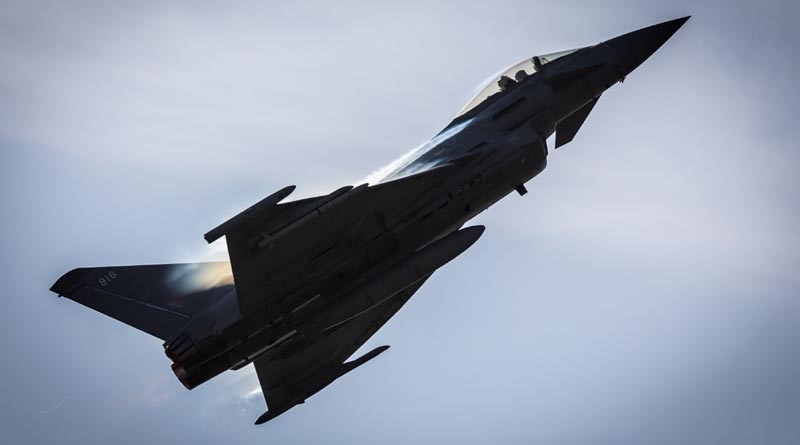 The organisers are delighted to confirm that the RAF Typhoon is back and set to rip through the coastal skies of Dorset! Participating for the first time since 2016, the Air Festival team are thrilled to welcome back one of the UK’s top air display teams, who will be performing their awe – inspiring routines on the Friday, Saturday and Sunday of the award – winning Bournemouth Air Festival. Regarded as the UK’s most successful civilian air show with brilliant day and night time entertainment in the skies, on land and in the evening, the 12th Air Festival, takes place 29th August – 1st September 2019. For details visit bournemouthair.co.uk or follow the team on social media.